» Triskelions are a common feature in the art of the Celtic nations. 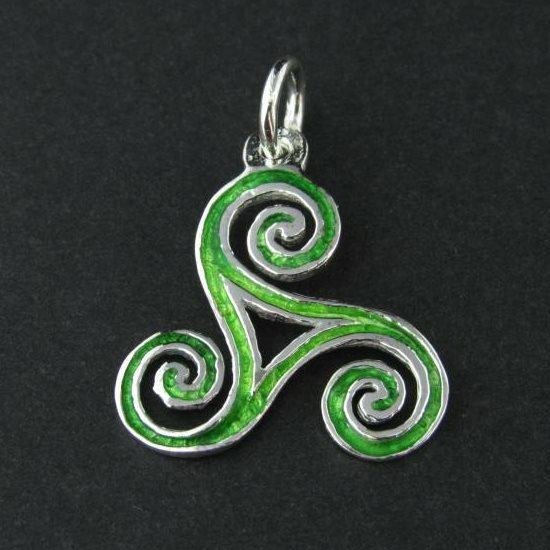 » It is believed the three arms of the Triskele represented earth, water and air in the ancient Celtic religion. » Pendant made in 100% silver and coated with a Irish green colour enamel finish. » The pendant comes with a choice of a black cotton cord or an elegant iron chain matching the silver colour of the pendant.